Together Brianna and Pixie try all kinds of activities. Along the way, Brianna finds herself drawn to something she never expected. And when the palace is in peril, it’s up to her to save the day…using her new talents! Readers will cheer for the plucky Brianna Bright as she embarks on her quest to find her true heart’s desire. 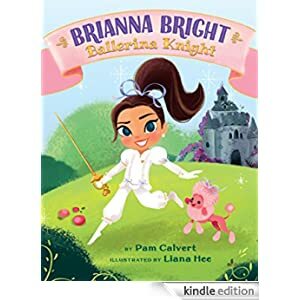 This Kindle Fire book is for readers ages 4-8 and is selling for only 99 cents today.